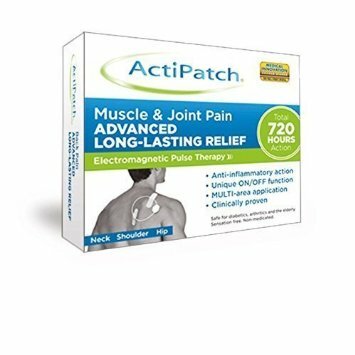 The ActiPatch® Muscle & Joint Pain product provides advanced long-lasting chronic pain relief using Electromagnetic Pulse Therapy and works great for muscle soreness, strains & sprains, neck & shoulder pain, hip pain, carpal tunnel, sprained ankle, fibromyalgia, arthritis, postoperative recovery and so much more. ActiPatch® is drug and ingredient-free so is safe for continuous use and can be used while taking any other medication. Unlike a TENS machine, you will not feel heat or vibration. In fact, ActiPatch® is completely sensation free, so the only thing you are going to feel is better. 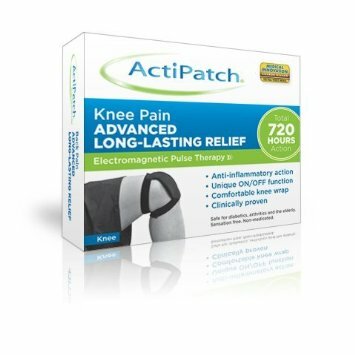 The ActiPatch® provides 720 hours of continuous pain relief with a unique on/off switch.